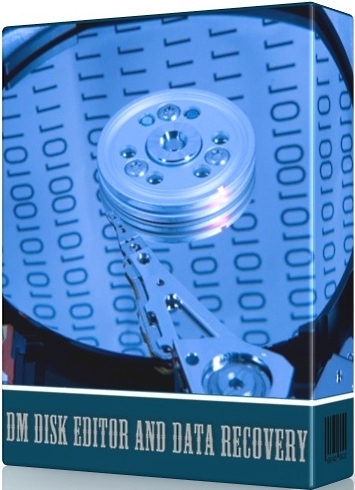 DM Disk Editor and Data Recovery is a great program for searching, editing and data recovery on disks. The software is for search, edit, and recover data on disks. File systems: FAT12/16, FAT32, NTFS. OS: Windows all versions, Console versions for DOS, Linux. Direct disk access under DOS. Quick search for lost partitions using boot sectors; sophisticated search for lost data using file system fragments. Search for partitions lost or inaccessible due to serious disk damages (include format, delete, partition manager failures and other). RAID constructor for broken or damaged RAIDs (RAID-0, RAID-1, RAID-5, JBOD). Disk images (create, write image, clone disk, open image as disk). Support national symbols in file names. Disk Editor: view and edit different disk structures – MBR, Boot Sector, NTFS, FAT file system structures; cluster map. NTFS utilities: copy, delete file, create, repair directory. Freeware version allows using most of functions (except file groups and folders recovery). На этой странице Вы узнали про: DMDE, DM Disk Editor.